Perhaps you are familiar with John Greco's photography or his sites John Greco Writer/Photogapher and the film blog Twenty Four Frames. If so, you already know he is quite the perceptive and insightful observer. 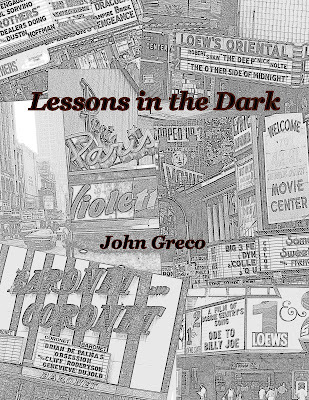 Lessons in the Dark is a compilation of essays in which John discerns the truths for today's world and audience that can be found in the films of different, sometimes long ago, eras. It is my contention that people haven't changed much in our time on this earth. Technology, fashions, mores - they have changed, but people, with all our simplicity and complication, are still able to relate to the core of our ancestors quite easily. John's look at specific movies and issues seem to bear that out. Divided into seven sections, John takes specific issues, i.e., economics, war, social injustice, discrimination, morality and presents a thorough discussion of specific films that reacted to such matters in their time. We discover how the filmmakers dealt with these concerns within the parameters of the pre-code or code enforcement eras that define Hollywood output. We see how these matters relate to today, and will relate to tomorrow. Some of the titles covered include Busby Berkeley's Golddiggers of 1933 with an impressive review of the heartbreaking Forgotten Man finale. William Wellman's almost glorious Wild Boys of the Road and the gut-wrenching They Shoot Horses, Don't They? Elia Kazan's A Face in the Crowd and Billy Wilder's Ace in the Hole will be eye-opening to a younger and, presumably media savvy crowd, with their trenchant look at the power wielded by those who control the message. John takes us across the years from Mervyn LeRoy's I Am a Fugitive from a Chain Gang in 1932 to Michael Roemer's Nothing But a Man in 1964, from Anatole Litvak's The Snake Pit to Bob Fosse's Lenny in 1974. Across the decades we are given insights into people, personalities and the controversies that are always a part of life. There are many lessons to be learned in the dark. 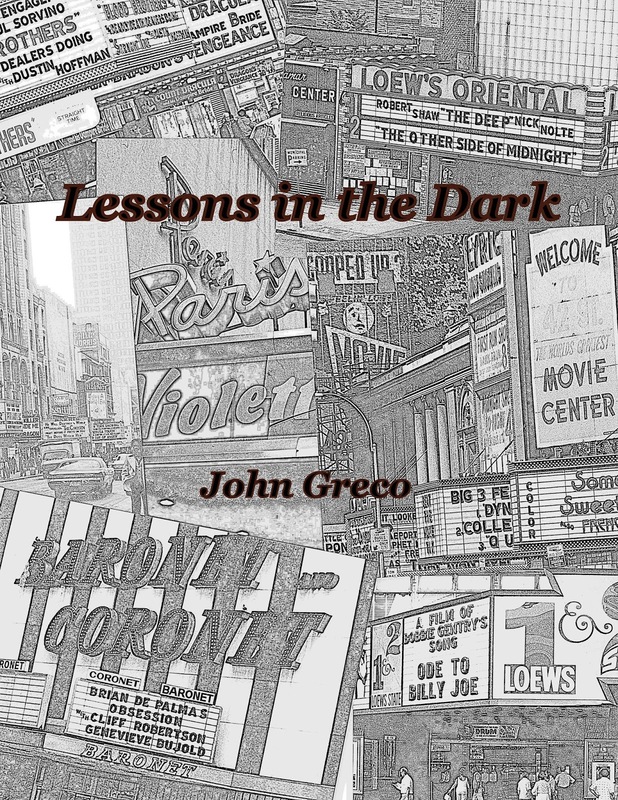 Anyone interested in film or in history would be edified by Lessons in the Dark and entertained by its author's style. 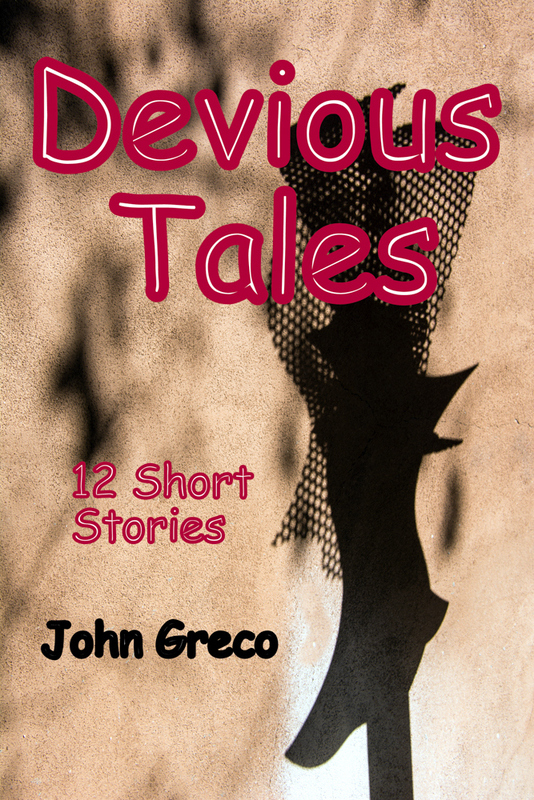 How do you like your short stories? With finely drawn characters who leap from the page as living, breathing people you might see in your neighbourhood? Do you like getting inside the heads of these characters? Does the one-two punch of an unexpected twist, or even an expected twist, make you set aside a book with a satisfied smile? Okay. You are looking for John Greco's Devious Tales. Available at Amazon, Barnes and Noble and CreateSpace. Paddy, thank you for the wonderful write-ups. I am glad you enjoyed them. Truly enjoyable reading. My pleasure. Thanks for introducing John's books to us. The two media books as lessons on life are particularly apt. Truly, there is much to be learned from older films. I think it would just take the right one to open someone's mind.